Designed by Charles-Édouard Jeanneret in 1929, the Le Corbusier Chair is available in black and white. We also carry the Le Corbusier Loveseat and Le Corbusier Sofa. 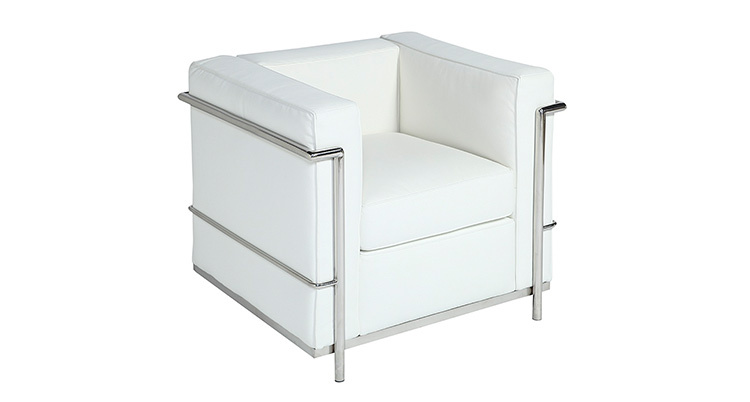 You can see the full Le Corbusier Collection in the Le Corbusier Lounge Grouping – White.